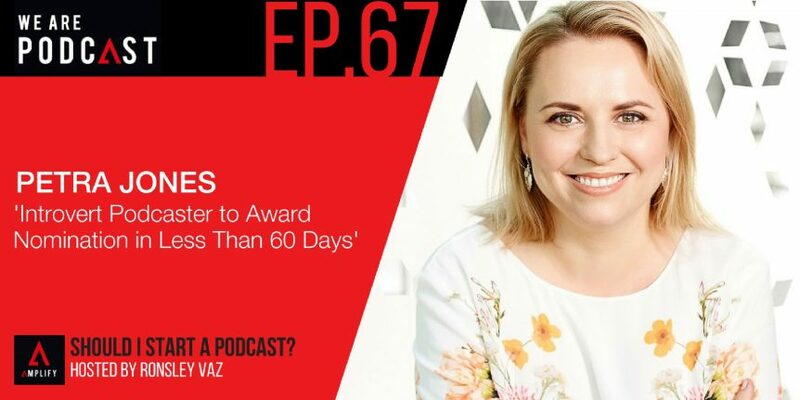 Petra Jones is the host of the very popular podcast, The Mumpreneur Show. On this show, Petra Jones interviews real mums who are also entrepreneur podcast, bloggers, makers of handmade products, social media gurus and guests that are an extremely motivating force for an audience who wants education, inspiration to help them grow their small business. As a host, she has recognised there is a constant and continuing search amongst the mums in business for better solutions around business start up, online business or being a mompreneur. Petra is a fashion designer, stylist and mumpreneur herself. Starting her children’s fashion label in 2012, Petra left corporate life behind to study fashion design and to pursue her passion of designing clothes for kids that are all about standing out, encouraging individuality and confidence. With an online boutique and stocked in children’s wear stores around Australia, Petra shares her experiences from her first two years of running a successful fashion business. HOW DO I KNOW IF PODCAST AS A MEDIUM IS FOR ME? “I always think that when people actually go and do an interview on a podcast, they realise “Yeah this is actually a pretty cool platform to explore more for my own business.” That’s my experience. I find that once people go, “Ok, I should include podcasting into my PR strategy” they start to get in touch with various podcasts and start to experience the benefits that come with being on a podcast. WHAT ARE THE MOST IMPORTANT THINGS TO CONSIDER AS AN ENTREPRENEUR PODCAST? “I research a lot. I actually enjoy that part. I love researching. It’s interesting. I like finding out possible ways that conversations could go and create various scenarios. I spend one to two hours just looking at stuff about the people I’m interviewing. “I actually just started to outsource because that was one of the things that I think I was sort of wasting my time a little bit on. It was one of those things that I felt I could use my time a bit better on. And then there are my show notes that take a bit of time to use. So I spend about half-an-hour to an hour doing show notes. “It’s a time-consuming thing. You just have to be prepared that there will be some time you will have to put into it.